Here’s another great post from Salvador Herrando-Pérez. It is interesting that he’s chosen an example species that was once (a long, long time ago in a galaxy far, far away) of great interest to me (caribou – see ancient papers a, b, c, d). But that is another story. Take it away, Salva. As conservation biology keeps incorporating management and economical principles from other disciplines, it stumbles with paradoxes such that investing on the most threatened components of biodiversity might in turn jeopardize the entire assets of biodiversity. At the end of 2011, newspapers and TVs echoed an IUCN report cataloguing as ‘extinct’ or ‘near extinct’ several subspecies of rhinos in Asia and Africa. To many, such news might have invoked the topic: “how badly governments do to protect the environment”. However if, to avoid those extinctions, politicians had to deviate funds from other activities, what thoughts would come to the mind of workers whose salaries had to be frozen, school directors whose classroom-roof leakages could not be repaired (e.g., last winter at my niece’s school in Spain), colonels whose last acquisition of ultramodern tanks had to be delayed, or our city council’s department who had to cancel Sting’s next performance. our way of conserving nature is failing because, despite increasing public/private support and awareness, the rate of destruction of biodiversity is not decelerating1,2. One of the modern debates among conservationists pivots around how to use resources efficiently3-6. Schneider and colleagues7 have dealt with this question for woodland caribou (Rangifer tarandus) in Canada. A total of 18 populations of this ungulate persist in the Canadian province of Alberta, all undergoing demographic declines due to mining extractions (oil, gas and bitumen), logging and wolf predation. The species is listed as ‘threatened’ regionally and nationally. 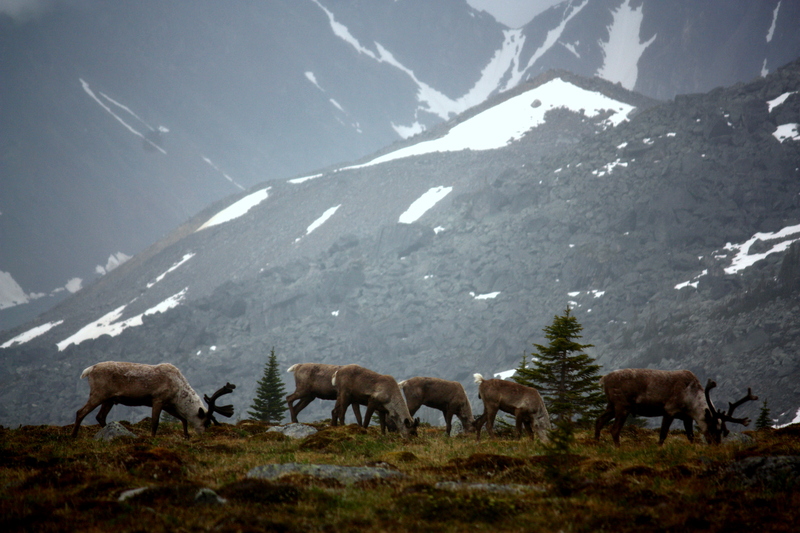 The Alberta Caribou Recovery Plan (2004-2014) is attempting to protect all herds. Under such a framework, Schneider et al.7 predicted that woodland caribou would be regionally extirpated in less than a century. 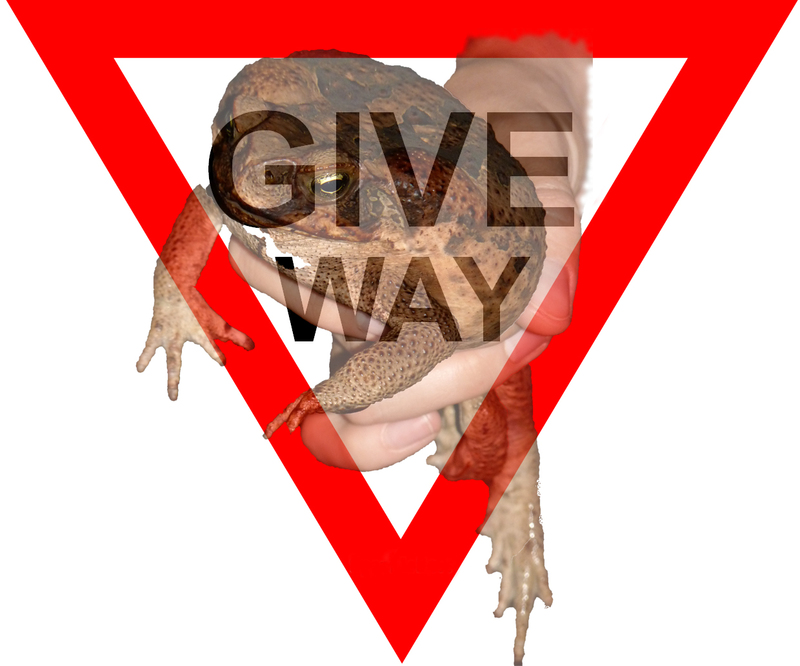 By weird coincidence, Salvador Herrando-Pérez (student blogger extra-ordinaire – see his previous posts on evolution, pollination, bird losses, taxonomic inflation, niche conservatism, historical biogeography, ecological traps and ocean giants) has produced a post this week expanding on the problem of roads. Also weirdly coincidental is that both Salva and I are in his home country of Spain this week. Australia’s > 800,000-km road network would go 60 times around the equator of our planet. Confined to the boundaries of any one country, roads are a conspicuous component of the landscape, and shape the dispersion, survival and reproduction of many plants and animals in urban and remote areas. Apologies for the slow-down in postings this past week – as many of you know, I was attending the International Congress for Conservation Biology in Auckland. I’ll blog about the conference later (and the stoush that didn’t really occur), but suffice it to say it was very much worthwhile. This post doesn’t have a lot to do per se with the conference, but it was stimulated by a talk I attended by Conservation Scholar Stuart Pimm. Now, Stuart is known mainly as a tropical conservation biologist, but as it turns out, he also is a champion of temperate forests – he even sits on the science panel of the International Boreal Conservation Campaign. I too have dabbled in boreal issues over my career, and most recently with a review published in Trends in Ecology and Evolution on the knife-edge plight of boreal biodiversity and carbon stores. That paper was in fact the result of a brain-storming session Navjot Sodhi and I had one day during my visit to Singapore sometime in 2007. We thought, “It doesn’t really seem that people are focussing their conservation attention on the boreal forest; how bad is it really?”. Well, it turns out that the boreal forest is still a vast expanse and that there aren’t too many species in imminent danger of extinction; however, that’s where the good news ends. The forest itself is becoming more and more fragmented from industrial development (namely, forestry, mining, petroleum surveying and road-building) and the fire regime has changed irrevocably from a combination of climate change and intensified human presence. You can read all these salient features here. Want a cool conservation job in beautiful southern Australia? I was asked to post this cool-sounding job on ConservationBytes.com – relevant punters welcome to respond. Australian Wildlife Conservancy (AWC) is a non‐profit organisation dedicated to the conservation of Australia’s threatened wildlife and their habitats. AWC now owns and manages more land than any other private conservation organisation in Australia ‐ 21 properties, covering more than 2.6 million hectares ‐ protecting more than 1,200 fauna species through active land management informed by strategic scientific research. AWC is seeking an experienced and committed ecologist who will be pivotal in the development and implementation of the conservation and science program throughout south‐eastern Australia. The position will be based at Scotia Wildlife Sanctuary (where on‐site accommodation will be provided), but will include work at other AWC sanctuaries, especially Kalamurina (Lake Eyre), Buckaringa (Flinders Ranges), Yookamurra (Riverlands), Dakalanta (Eyre Peninsula), Bowra (Mulga Lands) and North Head (Sydney) sanctuaries. 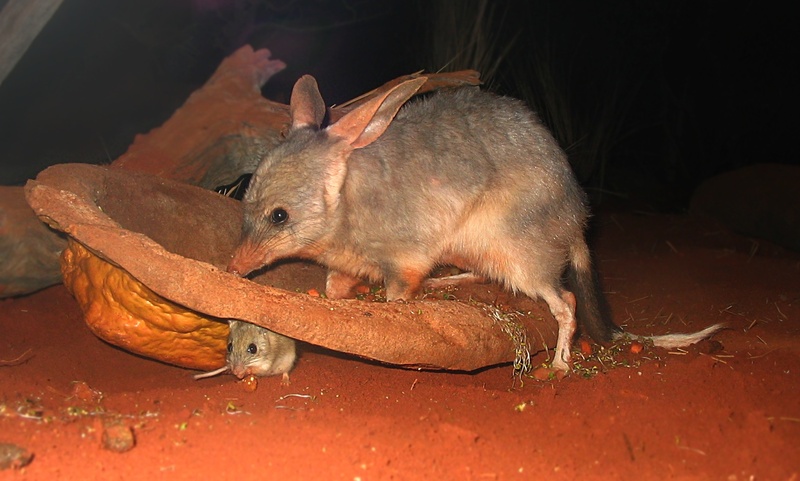 Scotia is a large property (65,000 ha) that lies on the NSW‐SA border between Wentworth and Broken Hill, and includes Australia’s largest area free of foxes, cats and rabbits (8,000 ha) and where seven regionally extinct species have been reintroduced (bilby, boodie, woylie, bridled nailtail wallaby, numbat, greater stick‐nest rat, mala and black‐eared miner). In addition, the property has outstanding conservation values because it protects habitats, in good condition, that have been extensively cleared in western NSW. I’ve written rather a lot about rates of forest loss around the world, including accumulated estimates of tropical forest loss and increasing fragmentation/loss in the boreal forest (see Bradshaw et al. 2009 Front Ecol Evol & Bradshaw et al. 2009 Trends Ecol Evol). For the tropics in particular, we used the index that an area of rain forest about the size of Bangladesh (> 15 million hectares) was disappearing each year, and in Russia alone, annual decline in forest area averaged 1.1 million hectares between 1988 and 1993. Mind boggling, really. But some of these estimates were a bit old, relied on some imprecise satellite data, and didn’t differentiate forest types well. In addition, many have questioned whether the rates are continuing and which countries are being naughty or nice with respect to forest conservation. It was great therefore when I came across a new paper in PNAS by Hansen & colleagues entitled Quantification of global gross forest cover loss because it answered many of the latter questions. Part of the problem in assessing worldwide forest cover loss in the past was the expense of satellite imagery, access problems, data storage and processing issues. Happily, new satellite streams and easing of access has rectified many of these limitations. Hansen & colleagues took advantage of data from the MODIS sensor to create a stratification for forest cover loss. They then used the Landsat ETM+ sensor as the primary data for quantifying gross forest cover loss for the entire planet from 2000 to 2005. They defined ‘forest cover’ as “… 25% or greater canopy closure at the Landsat pixel scale (30-m × 30-m spatial resolution) for trees > 5 m in height”. I have the dubious pleasure today of introducing a recently published paper of ours that was at the same time both intellectually stimulating and demoralising to write. I will make no apologies for becoming emotionally involved in the scientific issues about which my colleagues and I write (as long as I can maintain with absolute sincerity that the data used and conclusions drawn are as objectively presented as I am capable), and this paper probably epitomises that stance more than most I’ve written during my career. The topic is especially important to me because of its subtle, yet potentially disastrous consequences for biodiversity and climate change. It’s also a personal issue because it’s happening in a place I used to (many, many years ago) call home. 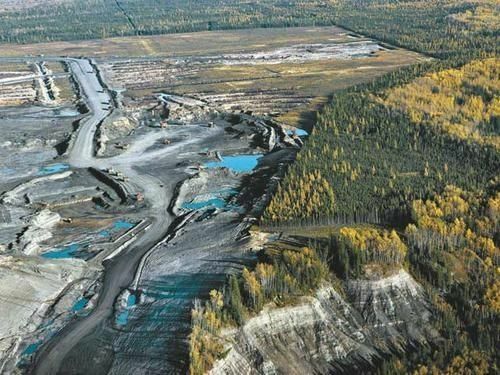 Despite comprising about a third of the world’s entire forested area and harbouring some of the lowest human densities anywhere, the great boreal forest that stretches across Alaska, Canada, Scandinavia and a huge chunk of Russia is under severe threat. 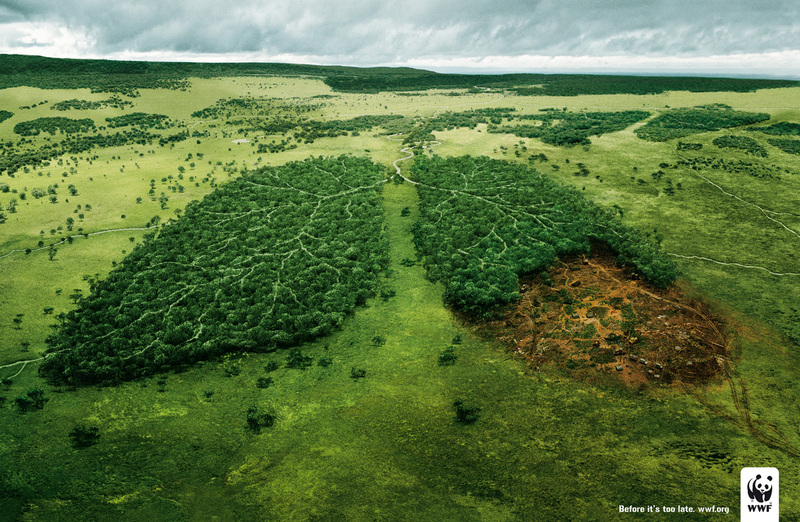 Surprised that we’re not talking about tropical deforestation for once? Surprised that so-called ‘developed’ nations are pilfering the last great carbon sink and biodiversity haven left on the planet? If you have read any of the posts on this blog, you probably shouldn’t be. Russia contains ~53 % of the boreal forest, followed by Canada (25 %), USA (18 %, mostly in Alaska), Sweden (2 %) and Finland and Norway (~1 % each); there are small areas of boreal forest in northern China and Mongolia. Fire is the main driver of change in the boreal forest. Although clearing for logging and mining abounds, it pales in comparison to the massive driver that is fire. There is evidence that climate change is increasing the frequency and possibly extent of fires in the boreal zone. That said, most fires are started by humans, and this is particularly the case in the largest expanse in Russia (in Russia alone, 7.5 and 14.5 million hectares burnt in 2002 and 2003, respectively). While few countries report an overall change in boreal forest extent, the degree of fragmentation and ‘quality’ is declining – only about 40 % of the total forested area is considered ‘intact’ (defined here as areas ≥ 500 km2, internally undivided by things such as roads, and with linear dimensions ≥ 10 km). Russian boreal forest is the most degraded and least ‘intact’, and has suffered the greatest decline in the last few decades compared to other boreal countries. Boreal countries have only < 10 % of their forests protected from wood exploitation, except Sweden where it’s about 20 %. There are over 20000 species described in the boreal forest – a number much less than that estimated for tropical forests even of much smaller size. 94 % of the 348 IUCN Red Listed boreal species are considered to be threatened with extinction, but other estimates from local assessments compiled together in 2000 (the United Nations’ Temperate and Boreal Forest Resources Assessment) place the percentages of threatened species up to 46 % for some taxa in some countries (e.g., mosses in Sweden). The latter assessment placed the Fennoscandian countries as having the highest proportions of at-risk taxa (ferns, mosses, lichens, vascular plants, butterflies, birds, mammals and ‘other vertebrates’), with Sweden having the highest proportion in almost all categories. Boreal forest ecosystems contain about 30 % of the terrestrial carbon stored on Earth (~ 550 Gigatonnes). Mass insect outbreaks killing millions of trees across the entire boreal region are on the rise. Although considered in the past as a global carbon sink, recent disturbances (e.g., increasing fire and insect outbreak) and refinements of measurement mean that much of the area is probably a carbon source (at least, temporarily). A single insect outbreak in western Canada earlier this decade thought to be the direct result of a warming planet contributed more carbon to the atmosphere than all of that country’s transport industry and fire-caused release combined. Current timber harvest management is inadequately prepared to emulate natural fire regimes and account for shifting fire patterns with climate change. No amount of timber management can offset the damage done by increasing fire – we must manage fire better to have any chance of saving the boreal forest as a carbon sink and biodiversity haven. Those include the main take-home messages. I invite you to read the paper in full and contact us (the authors) if you have any questions.